Honiton, United Kingdom A rusty but live WWII Mills Grenade Mark V was found in the undergrowth by a gardener, prompting the establishment of a 50-meter cordon in the area. The munition was moved to a nearby field, packed with plastic explosives, re-covered with soil, and safely detonated by an EOD team from Plymouth. Woodland Park, Colorado a six-year-old boy and his grandfather exploring a wooded area with a metal detector came across ordnance in Woodland Park. Curious, the pair decided to bring the item home following their hike and showed it to a neighbor who became concerned and convinced the pair to call the police. The Teller County Sheriff's Office responded, closing area streets and evacuating homes in the area after calling Fort Carson EOD for support. 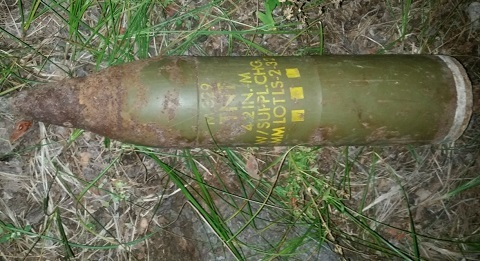 Fort Carson EOD responded and took custody of the munition for proper disposal. A search of the area where the item was found did not reveal any additional ordnance. 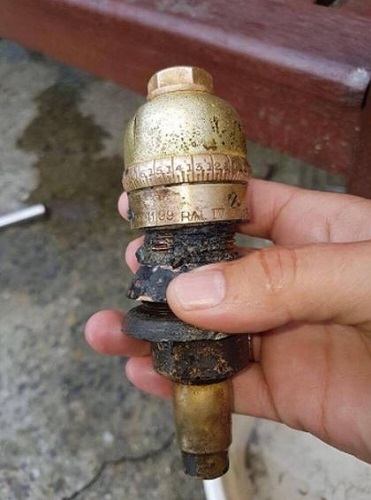 Kamloops, Canada Royal Canadian Mounted Police (RCMP) responded to the site where what was believed to be a military smoke grenade had been activated, but failed to ignite. The item was treated as live ordnance, and the area was cordoned off while RCMP EOD safely disposed of the grenade. 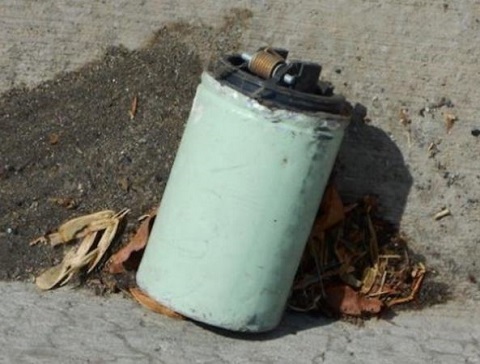 An investigation is underway to determine who discarded the grenade on the public road. Huthinson Island, Florida St. Lucie County sheriff's officials were called to the scene of a small fire that broke out when construction crews unknowingly unearthed an old military munition. Three homes were evacuated and a quarter-mile area was cordoned off as the WWII training round was safely removed by local bomb technicians. Washington, D.C the Department of Labor (DOL)issued All Agency Memorandum No. 225 which increased the applicable Health and Welfare (H&W) fringe rate, also known as benefits-in-kind, from $4.27 per hour to $4.41 effective August 1, 2017. All Agency Memorandum No. 225 can be downloaded using the link below. Hanna City, Illinois Workers demolishing an old barn were shocked to find a bag inside a barn cabinet labeled, "Dynamite." The Peoria County Sheriff's Office arrived on the scene to discover more than 100 sticks along with blasting caps. The homeowners were stunned to find they had been living next to the dangerous UXO for over 50 years. Officials evacuated them from their home while a four-wheeled robot was sent into the barn to remove the sticks with a mechanical arm. The robot then placed the TNT into a steel container outside where it was soaked in diesel fuel to stabilize the explosive chemicals. Then the load was burned and the remains properly disposed of.